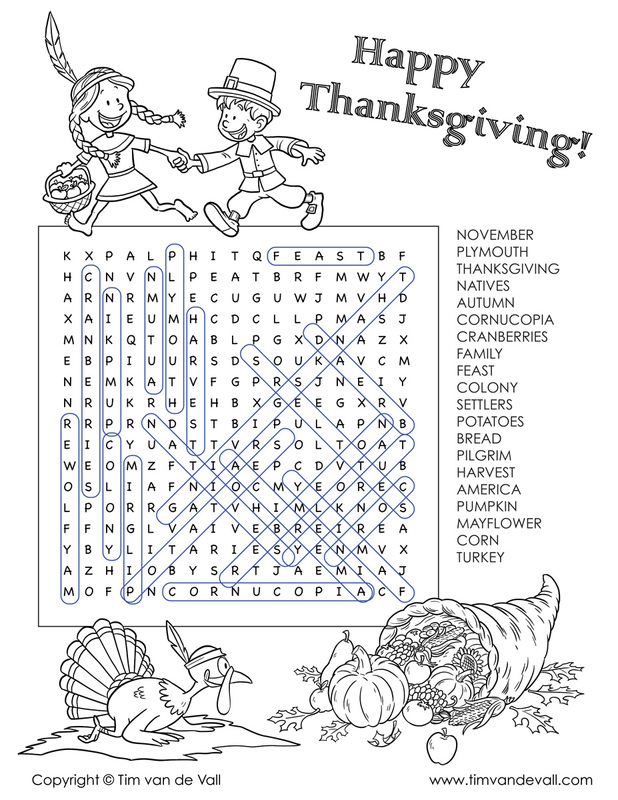 If the weather’s not nice during Thanksgiving break, print this free Thanksgiving word search for your kids. This fun and easy puzzle contains 20 Thanksgiving-related words to find. Along the margins are three illustrations, of a Native American girl and a Pilgrim boy, a turkey, and a cornucopia. You may download either the color or black and white version below. Simply click on an image to visit the download page. November, Plymouth, Autumn, Family, Feast, and more. Can you find all the words? You can also download the answer key here. Here’s the black & white version, which kids can color. You can find the answer key here. I hope you have a great Thanksgiving, filled with laughter and good food!